Impressive hearing protectors with a built-in FM radio & 3.5 mm jack. Centralising the pressure on the headband to help reduce pressure on the ears, these also provide improved sound quality and attenuation and the ear muffs are designed individually to suit each ear and follow the shape of the head. Including FM radio and a 3.5 mm audio input (AUX), this is an ideal set for MP3 or communications radio. 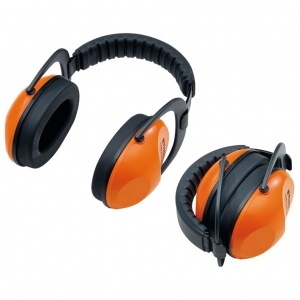 These hearing protectors have excellent ergonomics that make them ideal for use over prolonged periods. Their unique polyurethane insert provides maximum space for your ears, while they are lightweight, flexible and adjustable. 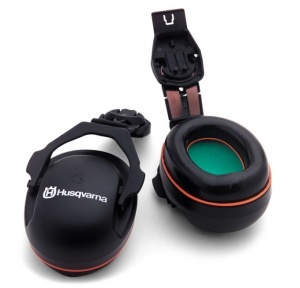 To fit Husqvarna's Classic, Functional and Arborist helmets, this is a hearing protector set with excellent ergonomics that makes them ideal for use over prolonged periods. 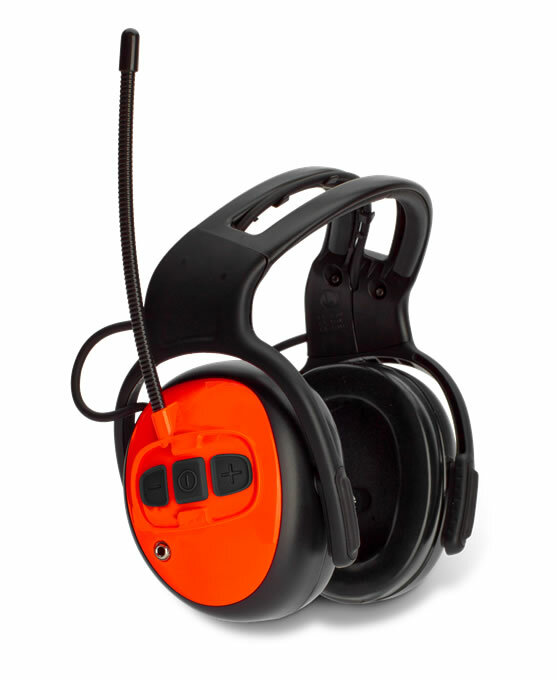 Designed to be attached to existing helmets, these hearing protectors feature FM radio and MP3 compatibility courtesy of a 3.5mm AUX input. 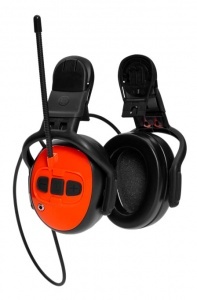 They also boast large, comfortable ear muffs and excellent sound quality. 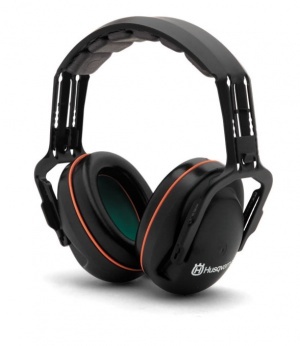 These clever folding ear protectors provide protection up to 104 dB(A), while being comfortable to wear thanks to their padded head strap and soft ear pads.